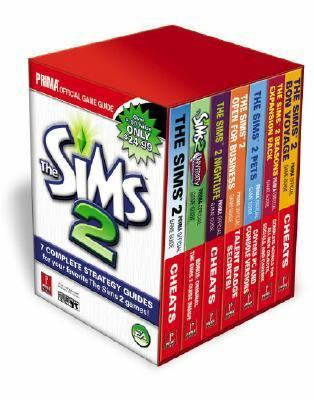 Titles: This box set will include "Sims 2, Sims 2 University, Sims 2 Nightlife, Sims 2 Open for Business, Sims 2 Pets, Sims 2 Seasons, "and "Sims 2 Bon Voyage." Objects & Socials: Detailed stats for every object, social, and build mode upgrade. Careers: Stats and tutorials for every career path in the Sims universe. Packaging: With the new stylized box art and mass-market trim size, this box set is dressed to impress.Prima Games is the author of 'Sims 2 Box Set', published 2007 under ISBN 9780761557708 and ISBN 0761557709.